STEM education is an interdisciplinary approach to learning that removes the traditional barriers separating the four disciplines of Science, Technology, Engineering, and Mathematics and integrates them into real-world, rigorous, and relevant learning experiences for students. (See this short animation for a visual definition.) There is more of a focus on working in teams, and the problems do not have a single right answer. This is an emerging national trend and is noted for taking many teachers outside of their comfort zones. 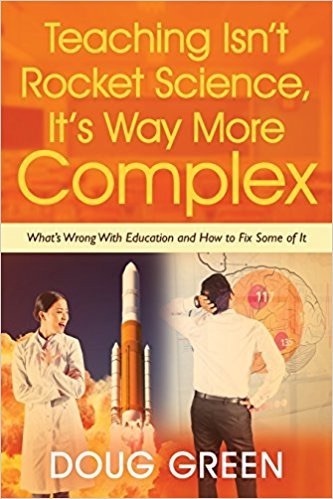 The purpose of this book is to give you a teaching toolkit filled with new ideas and know-how to help you start exploring and implementing STEM education. As failure is a normal part of the engineering process, it is also a part of STEM education. The students need to know that failure is expected and that the classroom is risk-free. Teachers facilitate rather than tell as students follow an engineering design process. Students connect and apply science principles and use math and technology as tools to solve an engineering problem. Rather than conduct an experiment to test a scientific hypothesis, students engineer a solution for a real-world problem. The steps are: 1. Define the problem, 2. Research, 3. Imagine, 4. Plan, 5. Create, 6. Test and Evaluate, 7. Redesign (iterate), and 8. Communicate. Consider adding some of these reference books to your school’s professional development library. STEM literacy can have a positive personal impact on the lives or our students. It can also impact our country and society in general. Businesses are asking for employees with in-depth mastery of STEM skills. Anne lists seven compelling reasons. 1. Help student develop deeper understanding of science and math concepts. 2. Promote innovative critical thinkers, which can allow creativity to flourish. 3. Students learn who to approach and solve problems. 4. They develop a sense of ethics and social conscience. 5. Students develop collaboration skills. 6. Technological literacy increases. 7. Students understand the connection between STEM education and future careers. In addition to a fully integrated program that uses the engineering design process and integrates the other subjects, there are many variations that you may run in to. A common one stresses the subjects individually and may add engineering and coding courses to the standard science and math offerings. Some add a maker component to the school’s offerings. Others add the arts and call it STEAM. Anne suggests that art courses stay in play so that students will have artistic skills to use as they design projects. This entry was posted on Monday, September 19th, 2016 at 7:32 am	and is filed under Book Summaries, Education Books, Leadership Books. You can follow any responses to this entry through the RSS 2.0 feed. You can leave a response, or trackback from your own site.